In just six short years the Hever Castle Triathlon has established itself as an essential destination for British and international triathletes and the mainstream media, for its picture postcard venue, elite action, age-group choice and festival atmosphere. Put simply, instant classic doesn’t do the Hever Castle Triathlon justice. With no fewer than 16 race choices on offer, over 6,500 triathletes ventured to Hever Castle in September 2014, with entries increasing for the sixth year running. 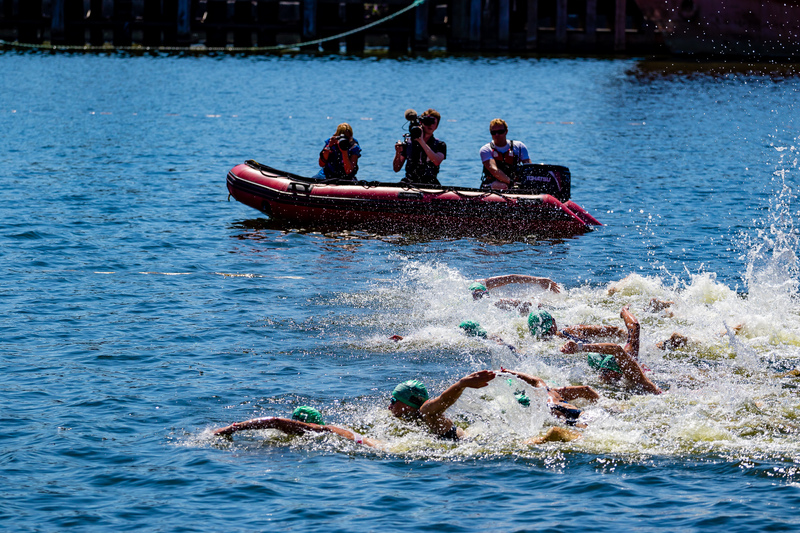 To cement the race’s title as the world’s largest children’s triathlon, a whopping 1,800 youth athletes signed up for September, a 50% increase on entries from 2013. As in 2014, the children’s races will be split over two days (8-10 year olds on Saturday afternoon and 11-15 year olds on Sunday afternoon). For 2015, the Gauntlet Half Iron Distance will be back with a vengence; over 600 signed up for the perfect September autumn day in 2014. For the second year running the long-distance Bastion is returning to Hever Castle on Sunday 12 July. The races will again commence with an open-water swim in the spectacular 38 acre Hever Castle Lake and River Eden, transitioning into the undulating cycle that takes athletes around a circuit through the High Weald of Kent, an Area of Outstanding Natural Beauty, and up to the stunning Ashdown forest for the longer distance races. The largely off-road run circumnavigates the estate and award-winning castle grounds before athletes make the dash to the tree-lined finishing chute beside the lake.